• According to Reuters, 27% of consumers in the United States use some form of ad-blocking software on a day-to-day basis. Antiquated ad models are no longer working, and companies are turning to influencers to reach their target markets in more humane ways. • According to a study conducted by Collective Bias, 30% of consumers are more likely to buy a product that is recommended by a non-celebrity blogger. Additionally, non-celebrity influencers are 10 times more likely to drive in-store purchases. • Linqia, an influencer-focused marketing company, found that 39% of marketers plan to increase their influencer budget in 2018. Stats are great, but how do you apply influencer marketing to your brand? Don’t just focus on growth. Finding the right fit for your product is the first step in the process of building meaningful relationships with influencers. Focus on the fit. This should be easy at first. If you are a health-related company, engage with health-related influencers. And don’t underestimate the power of microinfluencers; they make for a great testing ground when you first begin. Starting is easy. Begin surfing the web. You can use a lot of different tools, but here are my favorites: I use the search function on YouTube to find influencers in my niche. Next, I document on a Google Sheet their social media stats and contact information. Many creators have their business emails listed in their Twitter profiles — I’m not sure why, but I’ve noticed it is a common place to find contact information. How do you know which influencers to work with? Testing is the answer to everything. While you may not be able to judge performance and results in the beginning, use data to your advantage throughout the process. Start by looking at the percentage of views the influencer has in your country. That will be the first number to use for all calculations. Use that percentage to calculate how many people are going to see videos that the influencer will share for your brand. In my experience, YouTube videos have a longer life cycle than other channels. Videos gain views over time, and that helps attribute for the cost of the engagement. How can you leverage influencer relationships for mutual benefit? • Start by working with five smaller influencers and test. • Know your numbers for conversions on your website. Views become site visits. Site visits need to convert. These numbers will inform the results you expect from your influencers and how much to pay them. • Have continuous outreach efforts. • Look for deals. Who can you work with at a discounted price? • Influencer marketing isn’t just a visual medium; ask the influencer to include copy in the description and comments of an Instagram post or YouTube video. • Create a campaign document that outlines phrasing and copy to be used when describing your brand, and hold your influencers accountable for that language. • Ask to view every video first before it goes live for any errors or off-brand comments. • Get meaningful feedback early on and adapt. • Channel into different sub-niches. For example, instead of the general “health” niche, consider keto, paleo and fitness influencers. What is the pay structure of an influencer like? I get this question a lot, so I wanted to address it in this article. A survey conducted by Later, an Instagram scheduling tool, found that 66% of brands pay under $250 per post. However, the bigger their follower count and engagement, the more an influencer will be able to charge. After all, it’s not uncommon for influencers to be paid $50,000 for a single post. When evaluating how much to pay, focus on engagement and potential return. Look for smaller influencers (with less than 100,000 followers) and do a test campaign at an inexpensive price. 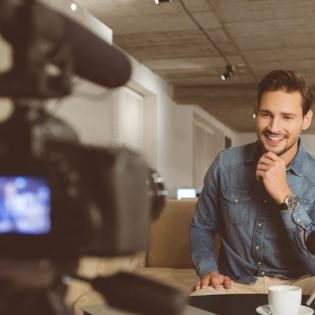 Track the results; if it performs well, then engage the influencer for multiple videos. The most important part of the pay structure is the ask. Don’t be afraid to test first before you commit to a relationship. Stacking up smaller wins is more important than signing on for one huge deal with higher risk. Once you know your numbers, you can go for bigger deals — they aren’t as risky once you have a proven model. Final thoughts: How can you ensure influencers and subscribers actually like you? Don’t just think about the numbers. I know, I know — I base all of my decisions on the numbers. But it is just as important to engage in meaningful conversations with the influencers with whom you are working. Don’t be all promo all the time. Let them promote you while you engage their fans. You can do so by buying ads to promote the video of your brand on their channels. Watch and comment on their videos. It takes time to have a relationship. Make it fun, but remember that the human element is the most meaningful way to stand out. When influencers and followers realize that you are a likable person who really cares about other people, then everyone in the community will relate to you more. That is when your influencer marketing can start to soar.